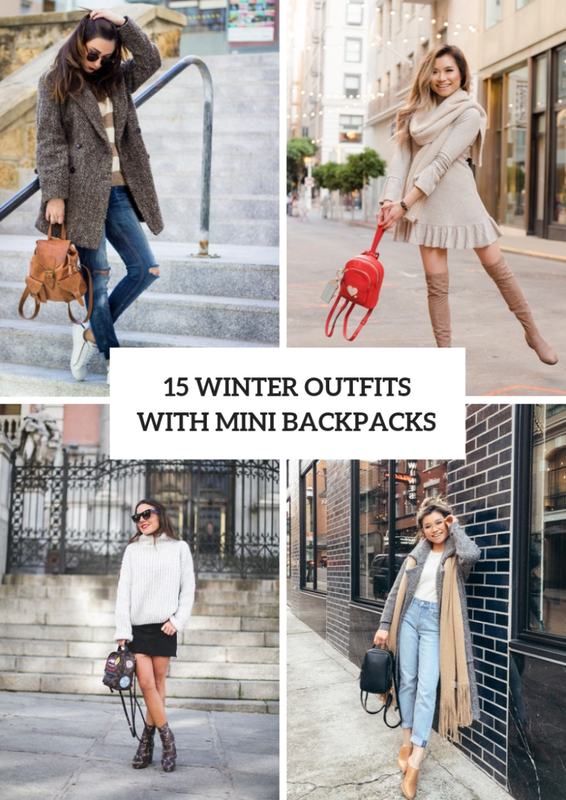 We have already shared with you amazing outfit ideas with mini backpacks for summer days, but what about the fall and winter? Of course, you can add this accessory to your outfits for colder days and make your looks more stylish and eye-catching. You can choose any color or print for this type of bags and, of course, you should think about fabrics, so you can pick up from a fashionable patent leather to cozy suede backpack, from a printed sporty to chic faux fur one. Right now you can scroll down to see all ideas that we have collected for you. 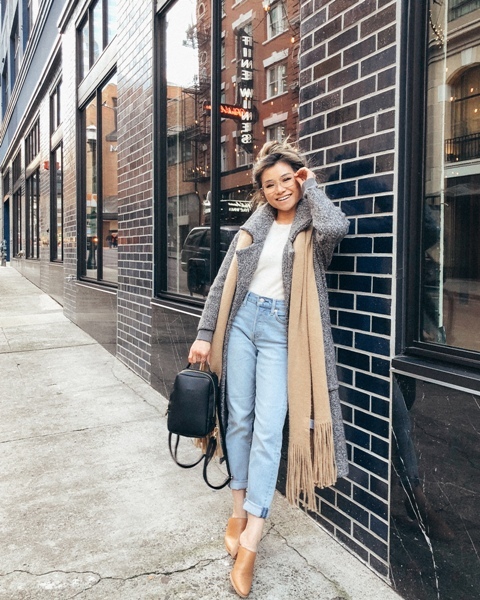 If you have a classic tweed coat, then you can add a brown leather mini backpack to it and mix them with a striped sweater, distressed jeans and white sneakers. 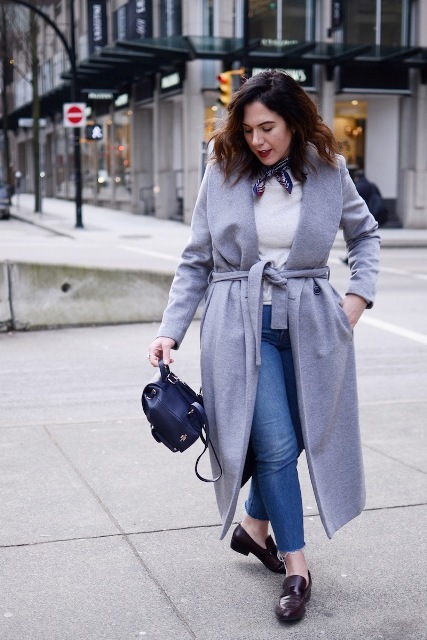 Or you can pair a gray tweed midi coat with a white t-shirt, light blue high-waisted cuffed jeans, a camel long scarf, brown leather heeled shoes and a black leather backpack. One more cool and awesome casual idea is to combine a shirt with checked shorts, a brown leather bomber jacket, a black beanie hat, a black mini backpack and black leather lace up flat ankle boots. If you love bright colored accessories, then you need to choose a red leather mini backpack and mix it with a beige ruffled mini dress, a beige scarf and suede over the knee boots. Or you can take a marsala backpack and pair it with a white and black turtleneck sweater, a printed mini skirt, a marsala puffer jacket and black leather ankle boots. Love feminine outfits? Then try to combine a beige airy maxi dress with a black leather jacket, black flat shoes, rounded sunglasses and a printed mini backpack.